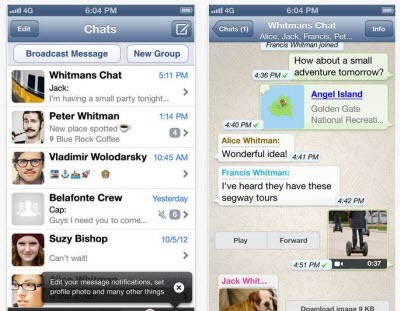 Wanna Extract iPhone WhatsApp Messages for Free? You deleted WhatsApp messages on iPhone by mistake. You lost WhatsApp chats after iOS 7 upgrade, original factory settings restore, jailbreak, etc. All WhatsApp chat logs are erased after update to the new version of WhatsApp. You lost all WhatsApp conversations because you lost your iPhone. All WhatsApp information becomes inaccessible due to black screen, water damage, silver/white/black Apple logo screen of death, system error, and more. As long as you need, you can use the free iPhone WhatsApp extractor below to extract WhatsApp history from iPhone backup for free, or extract the deleted or lost WhatsApp messages directly from iPhone, or even restore Whatsapp deleted contacts from ios 8. 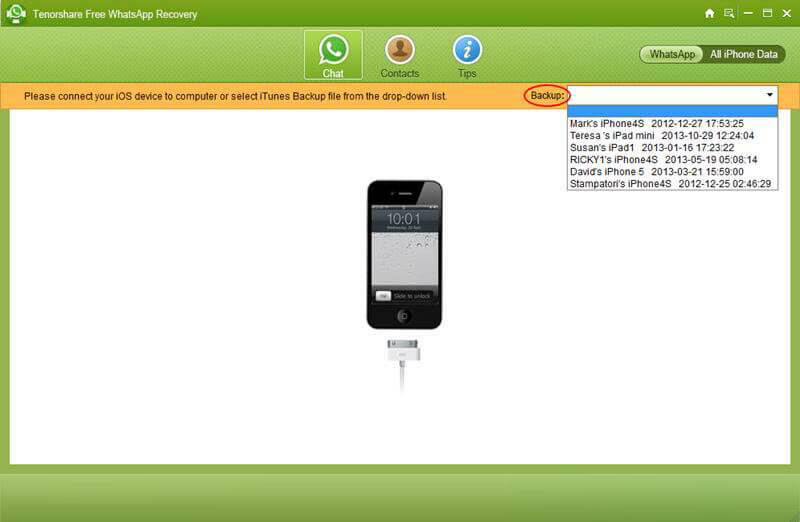 For more details, you can go to the article of how to restore deleted or lost iPhone WhatsApp messages. 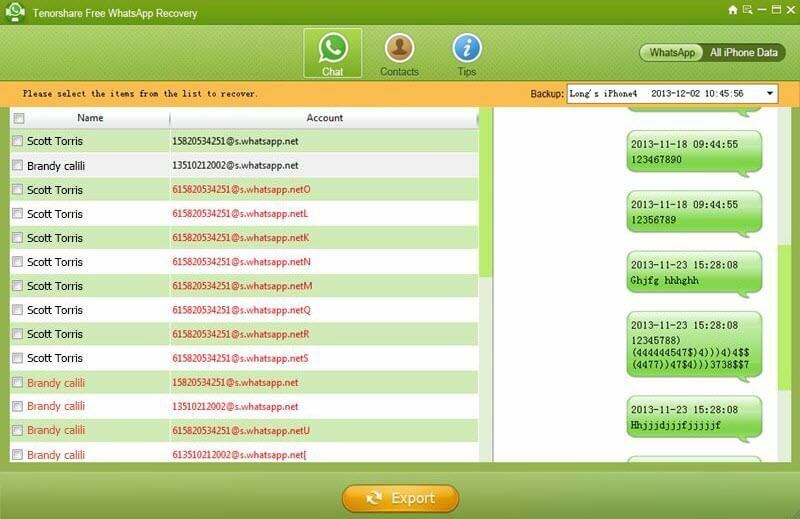 How to Free Extract and Recover WhatsApp Chat History on iPhone 5S/5C/5/4S/4/3GS? It is compatible with any iPhone models, including iPhone 6, iPhone 6 Plus, iPhone 5S, iPhone 5C, iPhone 5, iPhone 4S, iPhone 4, iPhone 3GS. Free download and install this program on your Windows 8.1/8/7/XP/Vista and then follow the guides below to extract your iPhone WhatsApp messages. 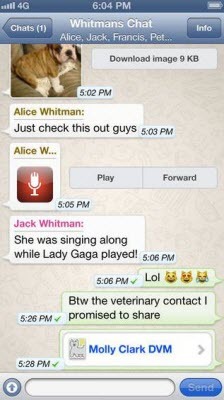 Note: Keep in mind that you can easily backup iPhone WhatsApp messages at any time you like. 1. Run Free WhatsApp Recovery on your computer. It will automatically detect and list all iTunes backup files. select your iPhone backup file in the Backup Options Section. 2. Then all WhatsApp data will show up. You can scroll down and up to preview all the conversions in details. 3. If you want to recover or rescue them, select the ones you need and click "Export". Then select a save path to save all the extracted chats. 1. Connect iPhone to computer and run Free WhatsApp Recovery. Then all your existing and lost WhatsApp messages are displayed immediately. You can scroll down and up to view Whatsapp messages on PC without password. 2. 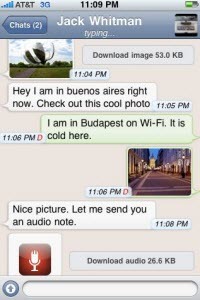 Select the lost chats and click "Export" to perform to retrieve the extracted WhatsApp files. 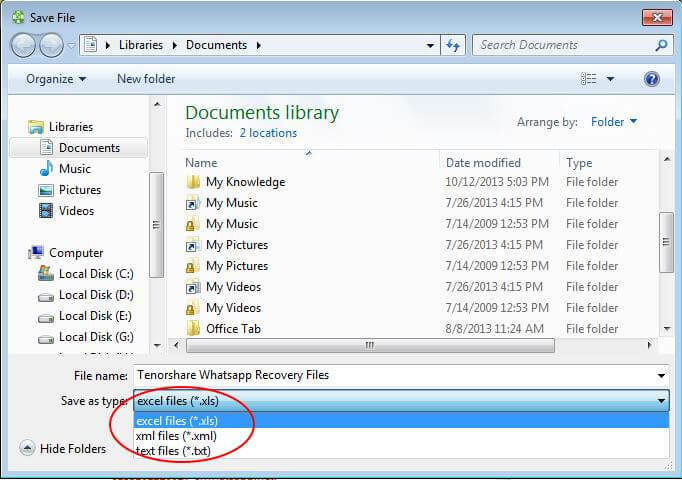 This is all how to extract whatsapp messages from iPhone on Windows for free. With this free iPhone WhatsApp extractor, you are allowed to browse, export, and recover the deleted or lost iPhone WhatsApp chats from iOS 8.1, iOS 8, iOS 7, etc. 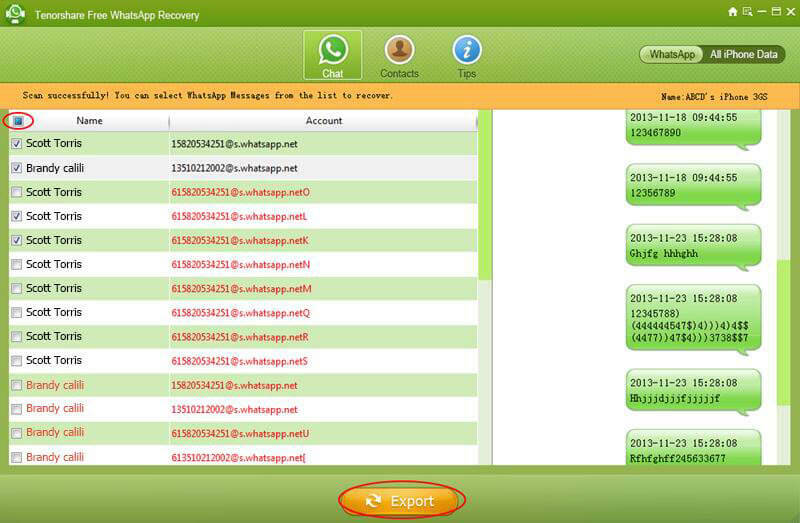 If you want to extract, preview or recover contacts, you can go to other version, WhatsApp Recovery.